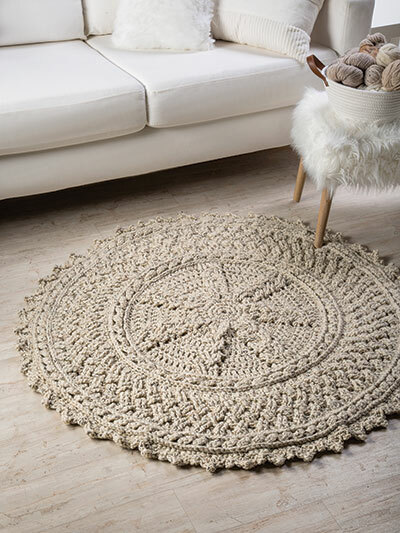 Inspired by Celtic designs, this rug is worked from the center out and features a different cable pattern in each section! 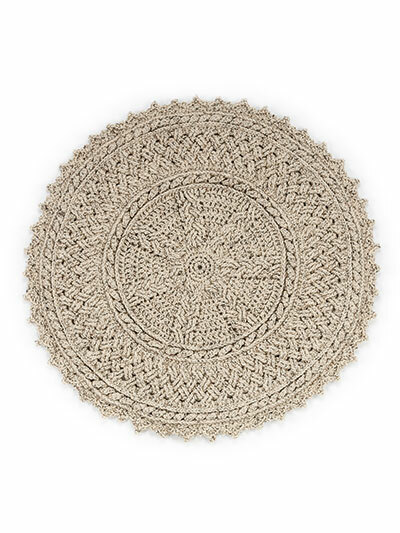 Design is made using 1,272 yds of super bulky-weight yarn and a size N/15/10mm crochet hook. Size: 45" in diameter. Previously published in Crochet World February 2019.